We live in a modern age, and robotic vacuum cleaners aren’t something that should surprise us anymore. No matter what type of floors you have in your home, iRobot Roomba 650 vacuum cleaner is going to deal with them pretty well. The best part about the robotic vacuum cleaners is that you don’t need to do anything at all,just start it and do something else while he does your job. You don’t even need to start it yourself, you can schedule the cleaning times and robotic vacuum cleaner will know when to start cleaning. 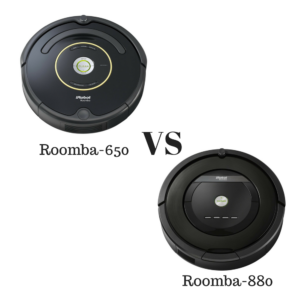 Check out this roomba 650 review to get a complete detail of this product. 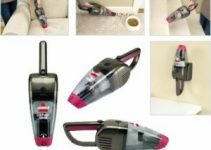 Seeking a high-performance vacuum cleaner that keeps your floors consistently clean! Well, gone are the days when you needed to have mop in your hands always and you needed to be conscious about cleaning the floors frequently. The product that I am going to introduce is so intelligent that it can go on the surfaces and clean them by itself. I am talking about iRobot Roomba 650 that is a robotic technology. IRobot’s is a company that has 25 years of Robotics expertise and experience and with the passage of time; they have brought many new inventions and innovations in the cleaning products. Roomba 650 is one of those innovative vacuum cleaners and you will be impressed with its unique and multiple features. The sensors installed in it are very smart to find even the small particles of dirt. iRobot Roomba 650 features i-navigation which helps him to navigate through the house. It works just like any outdoor GPS system, but this one is inside. It provides precise movement for the most efficient cleaning. Even if you change your home, iRobot vacuum cleaner will sense it and adapt to it. To provide the best cleaning possible, iRobot Roomba 650 has 3 different cleaning stages including agitates, brushes, and suction floors. 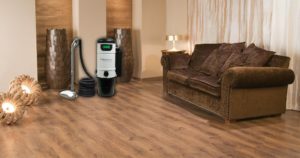 It will adapt to any floor surface, and it has the ability to clean any surface, from carpets and rugs to laminates and tiles. To start cleaning with iRobot Roomba 650, all you have to do is press clean, but if you happen to be busy, or lazy to get out of the couch and press clean every time, you can schedule the cleaning up to 7 times per week. It’s a perfect combination for busy people who spend more time on work than home and don’t get time to clean their floors. iRobot Roomba is that smart that you won’t even need to charge it by yourself. Once it finishes cleaning your house, it will automatically find the docking station and start recharging himself. This compact robotic vacuum cleaner is only 3.6 inches tall and can fit almost under any furniture. It will clean all the unreachable areas that you couldn’t reach yourself. 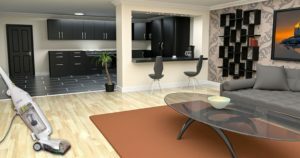 Your complete house will be cleaned, no matter how many furnitures you have. Automatically adjusts to different floor surfaces. Ability to clean unreachable spots. Sensors that guide him precisely through the house around the furniture. Schedule ability up to 7 days per week. One of the cheapest robotic vacuum cleaner in the market. 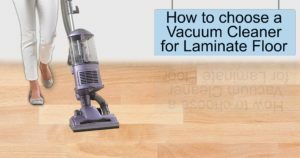 If a room isn’t well lit, Roomba might clean it a few times by a mistake. You don’t use it manually on daily basis but you can schedule it for seven times per week. In this way, it will clean the floor on daily basis according to the set schedule. 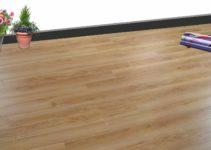 The 3-stage cleaning system is really advanced and it works to suction all the large and small particles of dirt and dust from the carpets and floors. It can intelligently navigate your entire home itself. There are different sensors and because of these sensors, the device can take 60 decisions per second to thoroughly clean your home. I am the one who had not been attracted towards the vacuum cleaners and I always preferred manual cleaning. 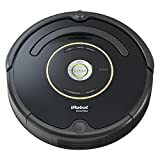 However, when I got to know about the features and the functions of iRobot Roomba 650, I really got impressed and I bought this technology. Its amazing features have really surprised me that how smart it is! Now, I don’t even need to keep a check on it as it moves on the surfaces itself and it keeps my home clean. I am also impressed with its automatic recharge function. After finishing the cleaning task, this product moves to the home base automatically in order to recharge itself. In fact, all the functions are quite impressive and effective especially for a house wife. It better works to sweep away all the debris hiding along the wall that you may neglect otherwise during the manual cleaning. In simple words, iRobot Roomba 650 is a must-have item.